JBL Has a record of making very good speakers and the JBL L112 is no different. 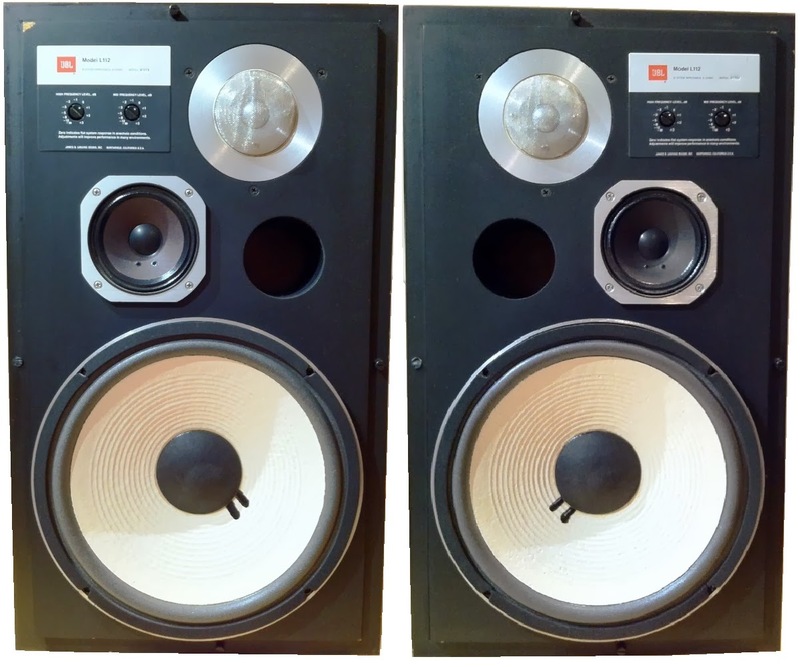 Where the JBL L-100 might still have had some weak spots, the L112 is frequently claimed to be one of JBL´s best 12" 3-way speakers. The price for a pair was around $1100 in 1981. JBL´s L-100 did not only sell more units than any other speaker at the time, but it remained a fairly popular and respected speaker until today. However, the model did not fully convince with its performance and later models were improved repeatedly. The JBL L112 has shaken off the L-100´s weaknesses. Both speakers do share the same series specification (L-series), but their components are completely different, from the crossovers to the individual speakers, not much is similar. The L112 uses the 128H woofer with a far higher power handling than the L100. The 128H found usage in the companies home and professional speakers. The L112´s tweeter is another superior piece of equipment. The L100's have the LE20 tweeter, a fairly moderate tweeter, which has not been too convincing in the professional setting. The L112 has the tweeter model 044, a by far better tweeter. The JBL L112 Speaker is 14 ¼ inches wide by 24 ½ inches tall. With the 3 way speaker and bass-reflex setup, it provides an outstanding balance of high, medium, and low sound. The weight of the JBL L112 is a bit on the heavier side at 55 lbs for a set of 2. The speakers come in a nice wood grain finish that complements the decor of any room that they're put in. The nice features about the JBL L112 include the ability to adjust each level of sound individually to produce the right balance for any room size. The high and mid-frequency controls are hidden behind the removable grill and can be adjusted to suit your needs. Placement of the speakers is paramount to optimal performance as is adjusting the level controls. The grill helps keep the exterior of the JBL L112 intact and help the speaker remain clean and attractive. The L112´s performance depends heavily on the correct positioning and eleveation of the speakers in consideration to the room size. Find out more about correct speaker placement and what kind of speakers should be positioned where and how. The L112 is sometimes criticized for being overly bass-oriented. This can easily be adjusted, but in general it seems to be a frequent reason for complaints. Usually you will find the JBL L112 in good shape. This can easily be explained by its high price in the 1980ies. Consumers who bought the L112 were very aware of its qualities and took good care of it. The most typical issues with this speaker are rotten speaker foams. For those who have a pair of speakers that are in need of repair, finding new parts to replace the faulty parts isn't difficult. Ebay turned out to be a great resource for used speaker parts. The only downside with parts for the L112 is that they are fairly expensive. Replacing the foam surrounds of the speaker can be tricky, but if done correctly, can bring the speakers back to life. Refoaming the L112 is a well worthwhile procedure. We recommend to use speaker foams by parts express. You can also find a fitting refoam kit here: > Speaker Surround Kits < . Alternatively, ask in one of the big HiFi forums, you will likely find assistance quickly.